Feeding Lazarus (written as Rafe Grayson). Meet a troubled boy named Daniel, the monsters who inhabit his world, and the corpse with a promise to set him free. 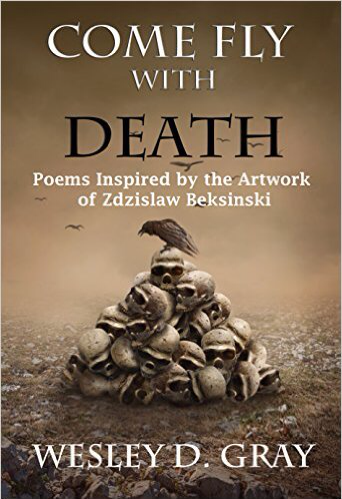 The poems and Gray's words are raw, unabashed, and full of surrealistic imagery and sharp concepts - exactly like Beksinski's work. COME FLY WITH DEATH is a riveting ride through the clever mind of author Wesley. D. Gray as he displays his mastery at creating an unusual unity of the macabre and beauty. For fans of Brennan, Ligotti or Bacovia, I'd heavily recommend this poet.